Over the past few years, there has been a growing trend that has emerged as a couple goes through their pregnancy. 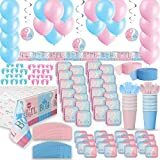 Gender reveal parties have become very popular, with couples constantly coming up with new, creative ways to let their friends and family know the gender of their child. 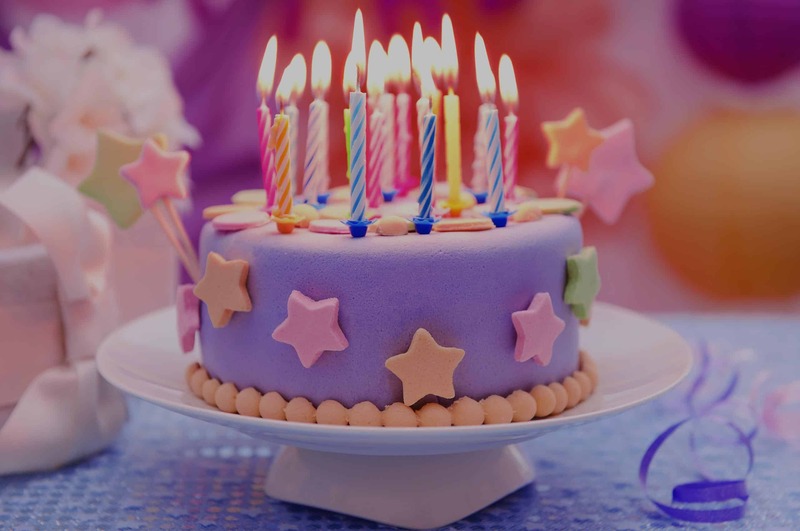 However, these parties have become controversial, which is why these cakes are ideal for the occasion. A gender reveal party celebrates a momentous occasion. They have replaced or been combined with baby showers. Finding out, and sharing a baby’s gender with your friends and family is something that you’ll cherish forever. Other than discovering that you’re pregnant, finding out the baby’s gender is the biggest surprise of the journey through pregnancy. It’s your special day, and you should celebrate your gender reveal as you see fit. However, as the trend has grown in popularity, gender reveals have become more and more complex. It seems as though couples try to out-do each other, choosing to share their elaborate routines on Facebook and YouTube rather than having a private, intimate party. A perfect example of this can be seen with this couple’s Rube Goldberg machine gender reveal. It’s gender reveal ideas like these that contribute to so much of the controversy surrounding what should otherwise be a joyous moment. It’s also why we feel that a gender reveal cake is one of the best ways to reveal your big secret to everyone. Buzzfeed also has an article outlining 18 unique baby gender reveals. 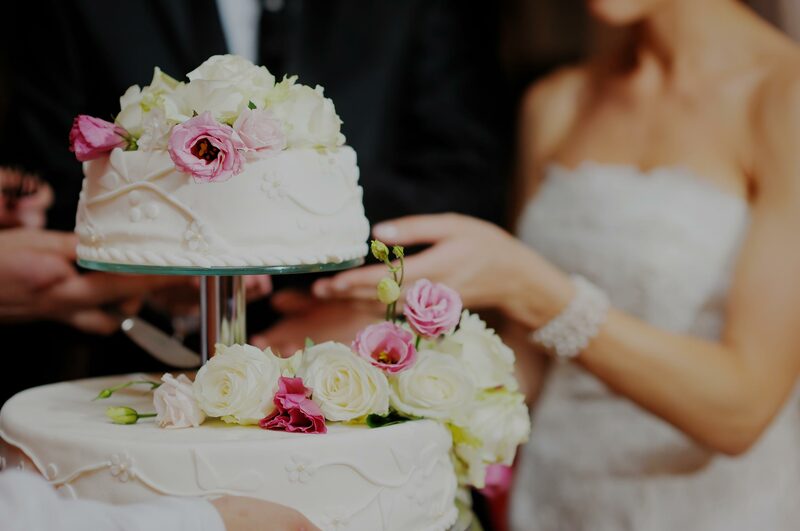 Critics of gender reveals also say that they are unnecessary, especially when considering how many parties there are leading up to a wedding, such as the bachelorette parties and bridal showers. For this reason, we feel as though it’s best for your gender reveal to be coupled with your baby shower. Most couples always have a baby shower when they are expecting. A gender reveal is a way to share a life-changing event with those with whom you are closest. Coupling it with a baby shower is a way to bring more excitement to the party without the costs of a second party. The only component that would be added to the baby shower is the gender reveal cake. Gender reveal cakes are similar to baby shower cakes, in that they use the color that is typically associated with the baby’s gender. Blue for a boy, and pink for a girl. 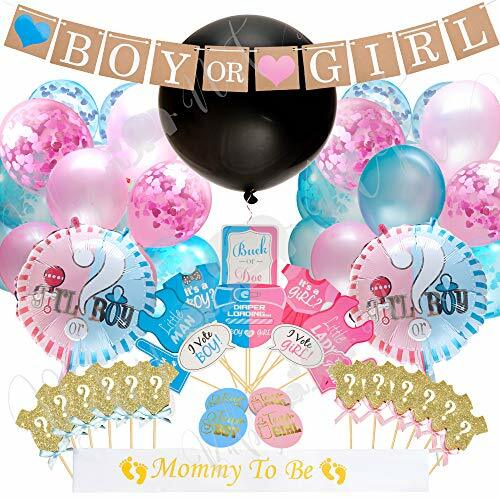 The difference between gender reveal cakes and baby shower cakes is that with a gender reveal, one or both members of the couple are in the dark about the baby’s gender until they cut the cake. With a gender reveal cake, the couple will leave a sonogram appointment with a sealed envelope that contains the baby’s gender. The couple, having not opened it, will deliver it to the company that will bake their cake. The baker will create a cake that has an inconspicuous outside, but an inside that is either blue or pink. Then, during a party that celebrates the new baby, the cake will be cut to reveal the gender of the baby. It comes as a surprise to everyone in attendance. Because the cake will be the focal point of the gender reveal, it’s important to be somewhat conservative in your cake’s design. Trust us when we say that once you cut into the cake, everyone will be excited. Make sure the cake is delicious and accomplishes the point of revealing your baby’s gender, but don’t let the cake steal the show. You don’t want your friends and family leaving the party talking about how absurd your gender reveal cake is. As seen in this article, it’s very easy to make guests uncomfortable with a gender reveal cake that tries to do too much. Gender reveal cakes are more representative of the moment, and it’s the moment that people should cherish. They should remember the expression on your face when you and your spouse cut into the cake and glimpse the next chapter of your lives together. The only way people are going to remember the it is if it is uncomfortable, or over the top. We love cakes, but we know that in this situation, less is more. 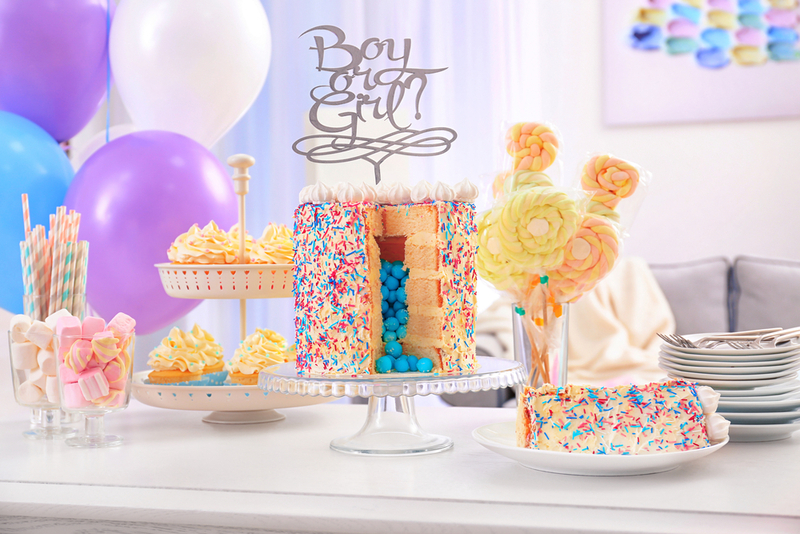 Our favorite gender reveal cakes are simple, crisp, and presentable. One of our favorite designs is a cake covered in white fondant or frosting. One half of the cake features dark blue shapes, like polka dots. The other half features the same shapes, but pink. On top of the cake, there are building blocks that spell out “He” and “She.” It is a cute, basic cake that keeps the gender a mystery until the cake is cut. A similar design replaces the building blocks with baby shoes. There are blue sneakers and pink dance shoes on top of the cake. The choice is yours, but again, simplicity is your best friend in these situations. Material:High quality card stock and food grade paper sticks. Package:30 pieces picks all were assembled, 15 picks with pink bow and 15 picks with blue bow. 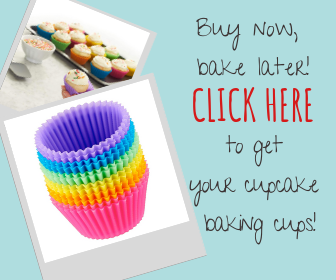 Perfect for:Cupcake, muffin, fruit, food, great party decoration in gender reveal parties, baby shower. Additionally, you can also have your baker put a short message on the cake, such as, “He Or She? Can’t Wait to See!” If you’ve already selected the name for your future child, you can put both the female and male names on the cake. Or, you can keep it simple and just have your baker write, “It’s a….” on top of the cake. Another popular item used for gender reveals is cupcakes. Couples will pass out one to everyone in attendance, and then everyone will bite into their treat at the same time. These can be an even simpler way to perform the gender reveal. 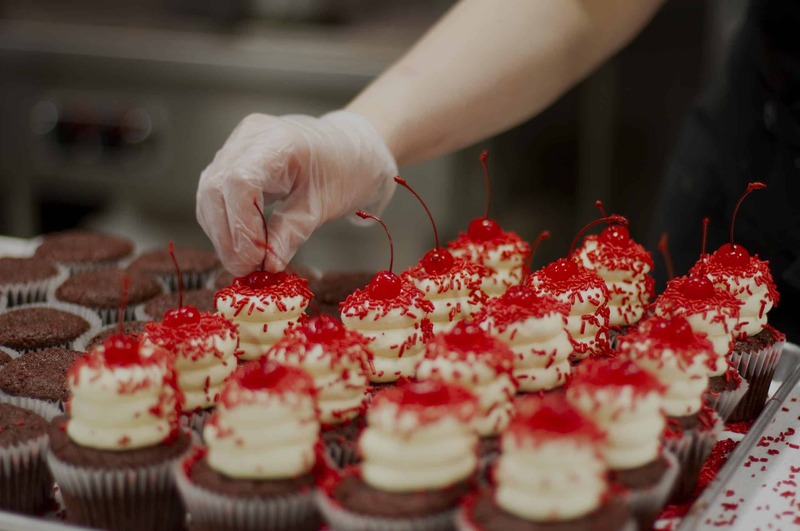 For example, consider having your baker make vanilla bean cupcakes with vanilla bean buttercream so that they are entirely white or cream colored. Then, use food dye to color the frosting, and insert the filling into the center of the cake. These will surely be a delicious treat that everyone will enjoy. They are simple enough to let everyone enjoy your special day without feeling overwhelmed. Another slightly more complex way to do a gender reveal with cupcakes is by using alternating pink and blue icing. So, half of them would have blue icing while the other half would have pink version. Consider writing “Boy?” and “Girl?” on each cupcake. As you can see, the opportunities are endless. You will surely be able to come up with a cake or cupcake design that your guests will love. 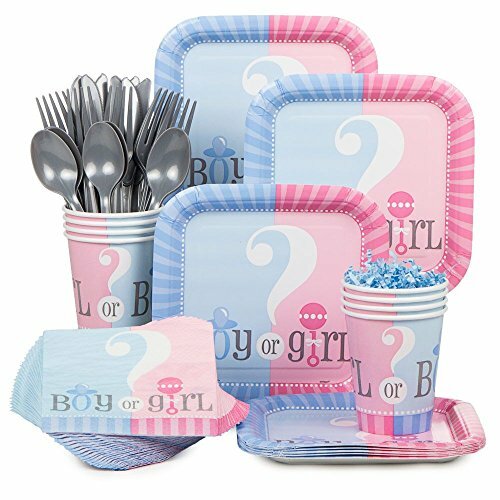 Here are a couple of tips to keep in mind that can help you host a successful gender reveal party. First and foremost, if you already have children, it’s important that you make an effort to include them in the reveal. If you have a gender reveal cake, let them be the one to cut it. It’s an exciting time for the entire family, not just for you and your spouse, especially because this may be the first brother or sister for your child. Also, keep the moment intimate. It should be shared with your closest friends and family. If after some time you would like to share your reveal on social media that’s ok. But the initial reveal should only be shared with those with whom you are particularly close. Similarly, be sure to inform your guests that a gender reveal will be occurring at the party. If you invite them to a baby shower, they’ll likely want to bring gender-specific gifts. For that reason alone, they should know that you won’t be announcing the gender until the party. Letting them know beforehand will save you a lot of stress and follow up questions leading up to the party. Perhaps more importantly, a gender reveal is a big moment. While revealing the baby’s gender is an exciting surprise, your guests should not be surprised that you are revealing the gender. This is something they should be able to prepare themselves for before they arrive at the party. The purpose of a gender reveal is not to blindside your guests. When planning the party, make sure you give yourself enough time before announcing a gender reveal or baby shower. Many sonograms cannot predict the gender of the baby until at least 20 weeks into the pregnancy. There may be complications with this, such as poor sonogram readings. Additionally, some hospitals may not reveal the baby’s gender to the couple before they give birth. 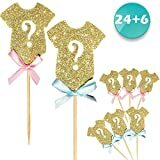 A cute idea that can be used during the party is to have a prize for whoever guesses the gender of the baby correctly. Have guests write their name on a piece of paper and place it into a jar labeled either “Boy” or “Girl.” Once the gender is revealed, pick a name out of the correct one and have something like a candle to give to them. Lastly, be sure to communicate with your spouse before the gender reveal. Because it’s such a sentimental time, a gender reveal should be a decision where you both are in agreement. If you or your spouse wish not to share the moment with others, you should not do so. While these parties are meant to celebrate new life, they should not come at the expense of a disagreement.